"Joe" is a baby dinosaur, measuring under 6 feet long and a year old when it died. Careful study reveals that "Joe" was a young Parasaurolophus--the iconic tube-crested dinosaur that lived in southern Utah over 75 million years ago. This website is a virtual museum exhibit, highlighting the story of "Joe" and what this fossil tells us about our planet's history. "Joe" is named in honor of Joe Augustyn, a long-time supporter of the museum whose family sponsored the preparation of the fossil skeleton. "Joe" provides groundbreaking information on how Parasaurolophus grew up. 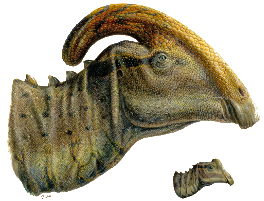 Although its close relatives didn't begin growing their headgear until they were at least half of their adult body size, "Joe" shows that Parasaurolophus sprouted its crest at only a quarter of adult size. An early start and a long growth period helped this animal get its unique tube crest. "Joe" is on public display at the Raymond M. Alf Museum of Paleontology, on the campus of The Webb Schools. 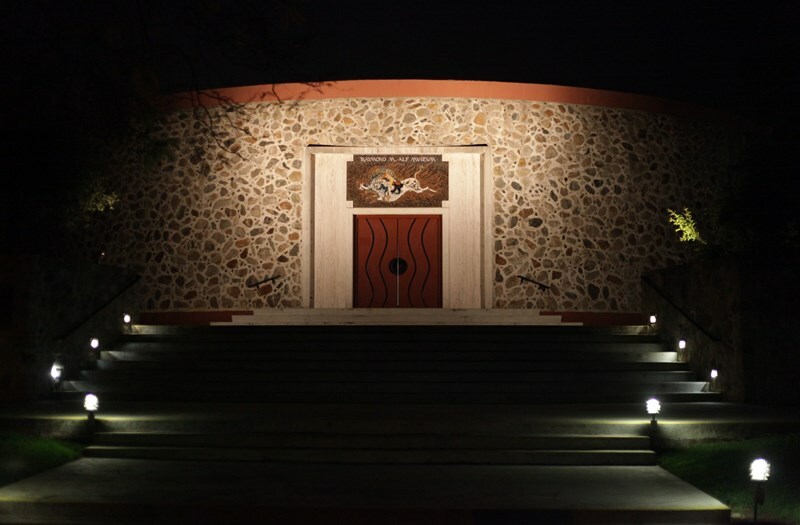 For more information, check out the museum website. If you can't make it to the museum in person, check out the 3D digital models of "Joe"! "Joe" has been in the news! Sample some of the coverage here.